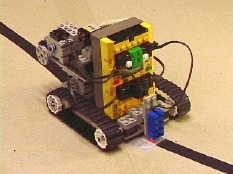 Legolog is a Prolog-based system developed to allow experimentation with and demonstration of Cognitive Robotics research on the LEGO® MINDSTORMSTM Robotics Invention System (RIS)TM. In particular, it was originally aimed at controlling the RIS via a Golog planner. However, the code has been structured in such a way as to allow the Golog interpreter to be replaced by another planner with a minimum of effort. Legolog is intended to run on various Prolog implementations with current support for SWI-Prolog and ECLiPSe Prolog under Linux, and LPA Prolog under DOS. Note: For MS-DOS we have only sucessfully tested Legolog on the HP200LX using LPA DOS-Prolog 3.83. Attempts to run Legolog reliably on Windows machines using various Prologs have encountered problems with the serial port. It is recommended that users adopt one of the methods above. The Legolog documentation is currently in the form of a README file which is available in both HTML or text. The README describes the component files that come with Legolog and what you need to do to use Legolog with a planner other than Golog. Hector J. Levesque and Maurice Pagnucco, Legolog: Inexpensive Experiments in Cognitive Robotics, Proceedings of the Second International Cognitive Robotics Workshop, Berlin, Germany, August 21-22, 2000. You can download a gzip'ed postscript or PDF copy of this paper. The Legolog distribution can be obtained in the form of a single zip archive legolog.zip. We have two movies available of a LEGO® robot performing a delivery task using the files above. The longer movie starts with the HP200LX controlling the robot and then shows the robot moving to a landmark where it is to make a delivery and then returning to the "home position". 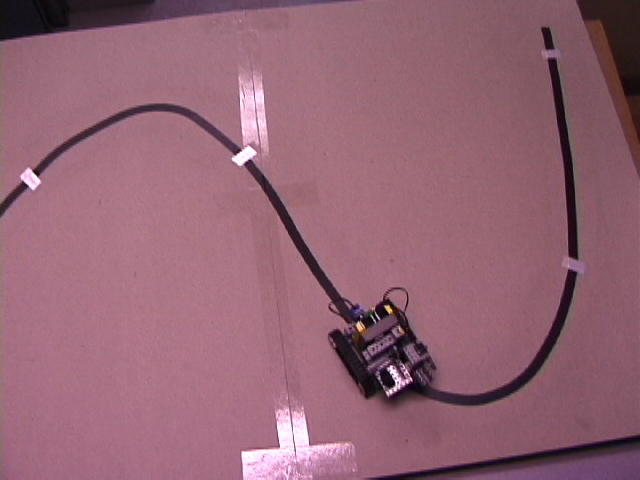 The shorter one (17 seconds in duration) shows the robot performing only part of this task. Legolog is in no way associated with LEGO® or any of its products. 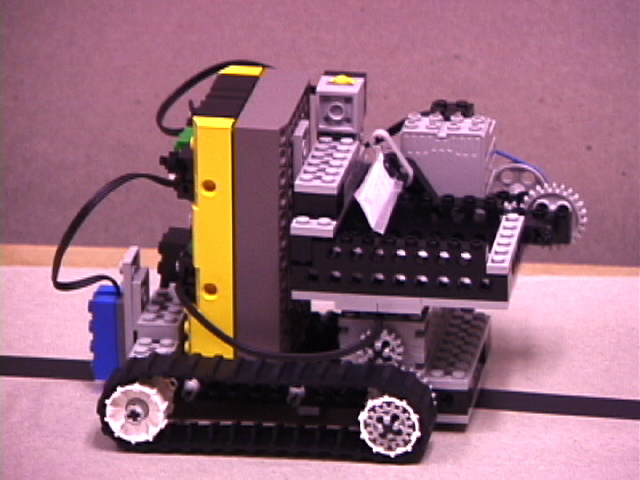 This software was developed by the Cognitive Robotics Group under the direction of Hector Levesque and Ray Reiter. Do not distribute without permission. Include this notice in any copy made. Permission to use, copy, and modify, this software and its documentation for non-commercial research purpose is hereby granted without fee, provided that the above copyright notice appears in all copies and that both the copyright notice and this permission notice appear in supporting documentation, and that the name of The University of Toronto not be used in advertising or publicity pertaining to distribution of the software without specific, written prior permission. The University of Toronto makes no representations about the suitability of this software for any purpose. It is provided "as is" without express or implied warranty. THE UNIVERSITY OF TORONTO DISCLAIMS ALL WARRANTIES WITH REGARD TO THIS SOFTWARE, INCLUDING ALL IMPLIED WARRANTIES OF MERCHANTABILITY AND FITNESS, IN NO EVENT SHALL THE UNIVERSITY OF TORONTO BE LIABLE FOR ANY SPECIAL, INDIRECT OR CONSEQUENTIAL DAMAGES OR ANY DAMAGES WHATSOEVER RESULTING FROM LOSS OF USE, DATA OR PROFITS, WHETHER IN AN ACTION OF CONTRACT, NEGLIGENCE OR OTHER TORTIOUS ACTION, ARISING OUT OF OR IN CONNECTION WITH THE USE OR PERFORMANCE OF THIS SOFTWARE.